Pinterest is a fantastic network that allows you to let loose your creativity and share videos and photos that you can ‘pin’ on the Internet. You can share your creations with your friends and family who are registered on social media sites like Twitter and Facebook. The features get updated constantly and you’ll be surprised to find something new each time you log into Pinterest. It is interesting to learn how you can get repins, locate new and interesting Pinterest followers and all new boards. One thing you should never forget to do is to fill out all descriptions, titles, and various categories. If you include the all-important keywords that give a fair description of your board, it is all the better as it is easier to locate. When all of the above categories are left blank, Pinterest will be confused and won’t know the content in the image and will not be able to display it to a person searching for it. Pinterest Hashtags are similar to the Hashtags of Twitter, hence, if you want more traffic don’t forget to include Twitter while you Hashtag. The Hashtags on Pinterest work the same way a Twitter Hashtag works. Most people are prone to using Hashtags and some even do it on Facebook; however, it does not work on Facebook. 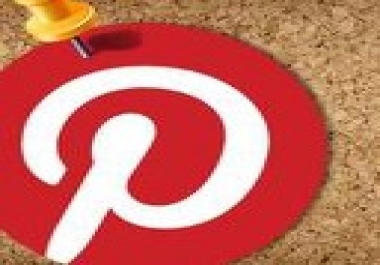 When it comes to getting new followers on Pinterest, you need to be as innovative as you can. Boring boards do not interest anybody. Try to be creative and attract interest with a catchy name that is not too long and easy to remember. Give priority for your interest whether it is food, nature, artistry, chic fashion or whatever. If you already have a blog that is popular, capitalize on that and install a button for Pinterest, including plugins for every blog that you post. Conduct contests of interest, reward the winners, and have people leave behind comments and invitations for new pins. Give importance to your content and make it unique and readable. While repinning you could look for new attractive and catchy images that are available on other image centric sites like Stumbleupon and Tumblr, who have a sizeable user base and are goldmines for new followers. It is not enough to just keep up with the Jones’. You need to keep up with the times, today. Monitor what is the latest that is being pinned from your site and what is hot. Keep feeding the readers stuff that is the latest and most happening to hold their interest and induce them to divert more traffic to your board. Remember, when you take care of all the points mentioned, it automatically opens up avenues for new businesses. Ensure that you use the right keywords in your content and make sure there are proper links in order to divert traffic towards your site to improve business prospects.